I am attempting to resume posting at much more regular intervals. So in the spirit of getting back into a routine here is a quick blurb about spending more time in Brooklyn. I have been riding the L train to and from the city quite often lately. Back and forth under the river in between Manhattan and Brooklyn, a quick transition from the East Village to Williamsburg. Fortunately it is only 1 stop and 3 minutes away, and more to the point only 0.5 miles as the bird flies. The more time that I spend in the yonder borough, the more time I am convinced I want to head permanently out that direction. The cool, calm, and quiet atmosphere seems like such an escape from the bustle of Avenue A. Lately we have been drawn out there for any number of reasons from birthdays to batching bourbon, and the more time we spend out there the more we want to be there! 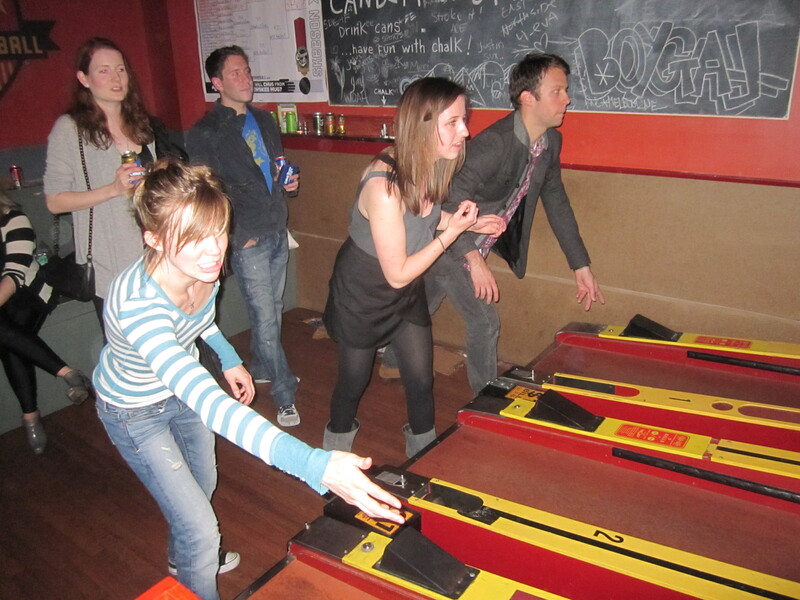 Shannon, Addie, and Tanner going for glory. This morning Addie and I cruised out to Brooklyn to meet up with Tanner and Jackie for brunch before she had to ship back to Florida. After finishing up brunch we exited and began to wander to our favorite coffee spot when we realized we had been marooned on an island of concrete surrounded by marathon runners. In order to get to our coffee we had to cross the river of charged up marathoner… 50,000 of them. 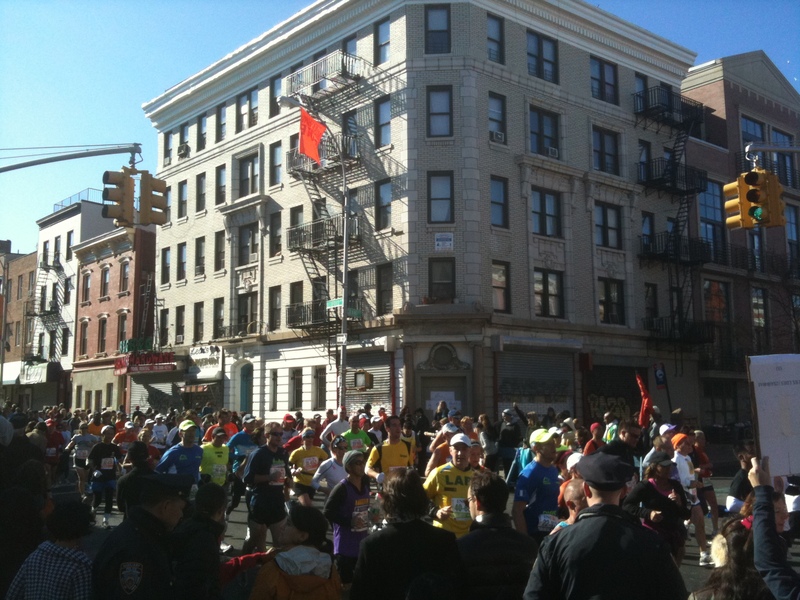 Actually it was great to see the marathon going through Williamsburg in route to touching all five boroughs. It definitely brought up the urge in me to start training to race. Here is a view taken from my phone of the almost impassible train of runners. This week is going to be absolute chaos out here, but there should be plenty to write about at the end of it all. Until then I am going to be cranking out booze, and learning how to whip up premium cocktails. Hope all is well in your world.